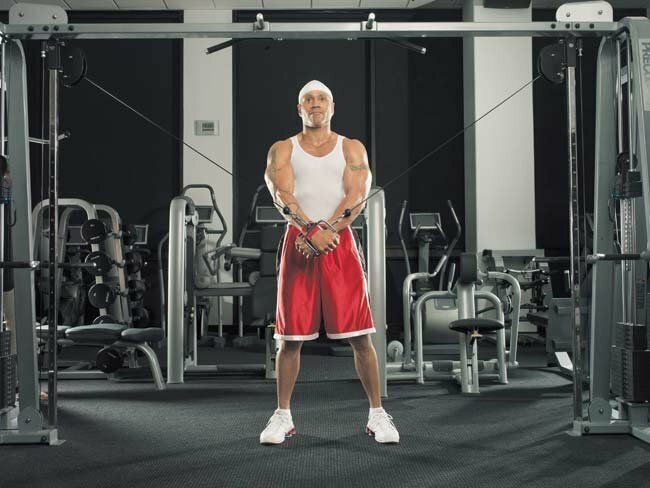 LL Cool J's Platinum Workout: An Inside Look At His Training, Nutrition & New Book. 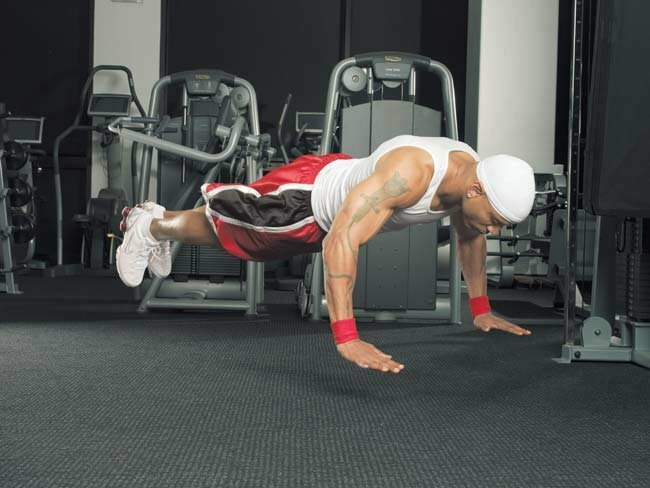 LL Cool J has earned everything he has with hard work and dedication - training philosophy, nutrition tips and more below! 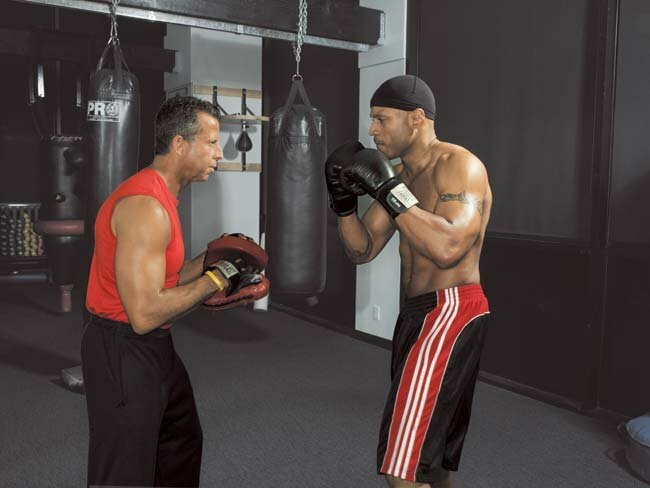 Learn more as I have a roundtable with LL Cool J and his trainer 'Scooter' Honig. Fitness and nutrition books are a dime a dozen-how do you know which to choose when searching through the bookshelves of your local bookstore? You&apos;ve probably all heard that you shouldn&apos;t judge a book by its cover; however, there might be an exception, and that is LL Cool J&apos;s Platinum Workout. 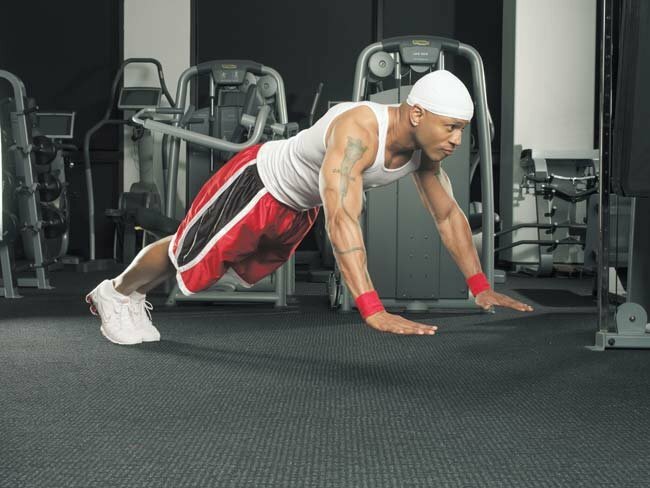 LL Cool J&apos;s Platinum Workout. 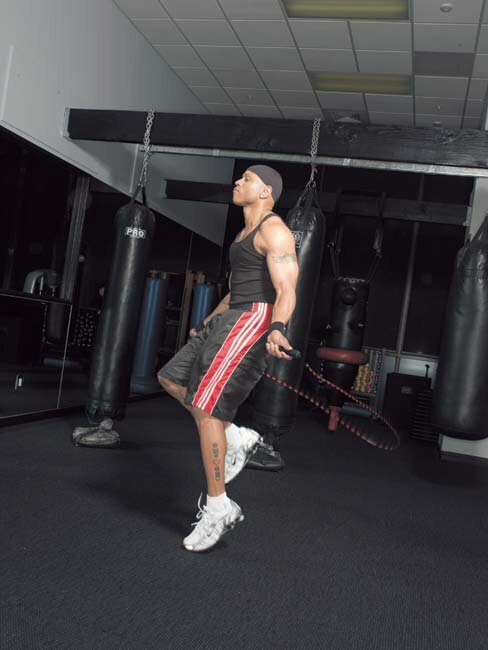 Take a look at LL Cool J (Ladies Love Cool James) and you can see that a ton of work went into his body. You don&apos;t get in the shape he&apos;s in by putting in 50% effort, eating junk, and skipping workouts. I was fortunate to be asked to be the nutrition consultant for this book, and I had the opportunity to work with his trainer, Dave "Scooter" Honig, and help with LL&apos;s nutrition so he can stay in the best shape of his life. And I also was fortunate to have the opportunity to meet both of them on several occasions. During the last time, I sat down with them and also picked their brains-how did LL get in the shape he&apos;s in, what made him decide to co-author this book, and what can both share about their training? After all, it&apos;s not easy to get in even better shape when on tour most of the year, but LL has managed to do it. Read and take notes-LL is not just some celebrity who pays for the best of everything. The man works harder than most anyone out there---you&apos;ll be hard pressed to find anyone else who after a concert, exhausted from running around on stage, hits the gym at 1 AM to train when he hadn&apos;t had a chance after traveling from another city all day. I&apos;ve seen it; I was at that concert. 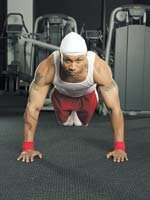 So I thought this roundtable with me, LL Cool J, and "Scooter" Honig would be of benefit. I mean any of us who have ever struggled with fitting in a workout after a "rough" day at the office, can probably learn a little something about drive and dedication. Ad Rock of the Beastie Boys found his tape while hanging out in Rick Rubin&apos;s dorm room and convinced Rick & Russell Simmons to sign LL Cool J. He was signed to Def Jam in 1984 and released the underground hit "I Need a Beat" (see 1984 in music). The song was the first hit record for Def Jam, and its success persuaded him to drop out of school to record Radio (1985 in music). [ Chris ] Thanks for taking the time out of your busy schedule guys, to chat. Let&apos;s get to it and not waste any time. LL, why did you decide to write this book? You&apos;ve certainly had your share of success with music, TV, movies. What else do you need to "prove?" [ LL ] Thanks, Chris. I wrote this book for several reasons. I pride myself in taking care of my body. 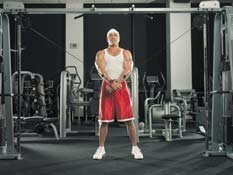 In 2002 I was preparing to tour for my latest album and I knew that if I wanted to be the best I could be on stage, I needed to get in better physical shape. It wasn&apos;t all about physical appearances; I wasn&apos;t happy with how I felt either. It&apos;s not that I was ever obese, but I also didn&apos;t take the time for me and I could see it physically and feel it. I felt and looked like crap. That&apos;s when I recruited the help of my friend and trainer, Scooter. Scoots helped me take it to the next level. So much so, that a lot of folks were accusing me of using steroids, having ribs removed, having lipo, etc, so part of the reason for the book was to help me prove that none of that was true. A lot of times people struggle with their own demon, so when they see someone else reach a level of success they want, they try to knock them down to make themselves feel better. Well, here it is, laid out for you-my training and nutrition, teaching you how to get in the best shape of YOUR life too. The transformation I made when working with Scooter was crazy. Insane! I told him I want to lose about 15 lbs (I was 223 and wanted to be around 210 or so). Next thing I know, this guy has me running 5 miles after the tour bus in 115 degree weather, working out at all hours of the night so we didn&apos;t miss a beat, and eating cleaner than I ever dreamed of. I didn&apos;t just meet my goals, I exceeded them. Instead of just losing weight, I lost fat and gained muscle while touring the country! Yo, that&apos;s the real deal. [ Scooter ] When Todd (AKA LL Cool J) brought me on board, I knew he was serious. He asked me to come on tour with him and the crew and help him get in better shape. 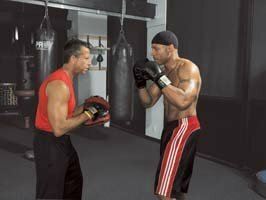 I don&apos;t know if he knew what he was in for-most of my clientele are world class boxers, so I know how to make people work. And work he did. You can&apos;t go half @ss and expect real results. Go balls to the wall and eat to recover. We didn&apos;t have the time to spend 60 minutes in the gym training, resting several minutes between sets, etc... this was intense, get in and get out. [ LL ] Yeah, I sometimes thought Scoots was off his rocker. I&apos;d have just walked off stage after a concert and this guy would be yelling at me to get ready to hit the gym. It was crazy, but the results speak for themselves and I feel like a million bucks. I&apos;m now taking care of myself. [ Chris ] Give me an example of a daily routine, Scooter. We&apos;ve talked training and I train similarly to what you explain-I know it works. 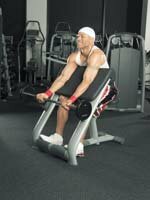 Get that heart rate elevated, and stay there to burn calories like a human inferno... a fat burning furnace. LL doesn&apos;t make excuses. 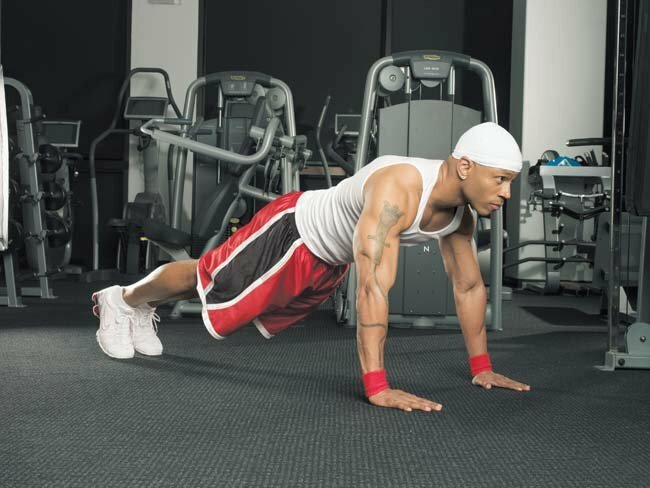 I love whole body circuit training. You get all the large muscles involved-legs, back, chest, etc and shoot that heart rate through the ceiling. Todd is on stage like a maniac, running around, jumping-if a song is 4, 5, or more minutes, he needs the stamina and energy to perform and not be gasping for air when he&apos;s trying to sing. We always start our workouts with a warm up. That could be on the treadmill, doing jumping jacks, stationary bike, or maybe just jogging in place. You gotta&apos; warm up the body, get the blood flowing, and get prepared - even a minor injury will set you back big time, so take the time to warm up properly and cool down. How Important Is Warming Up? Much of the time you will see people stretching out their legs before a run, or stretching out any body part before they train it. 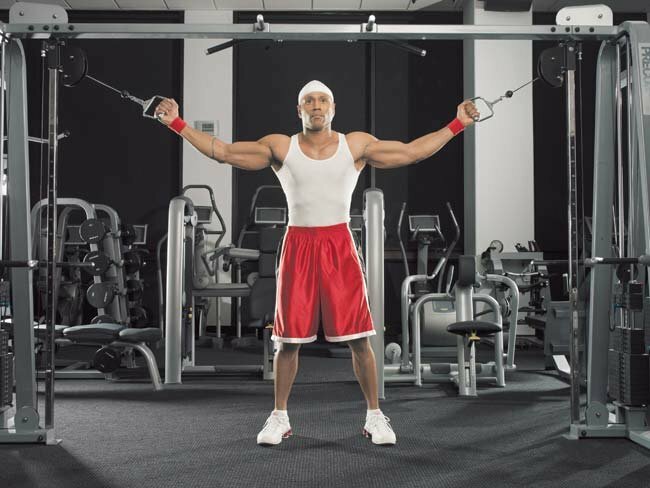 It&apos;s also very popular for people to begin warm-up sets before they really get into the workout. Suggestions For Next Topic Of The Week? What do you think would make a good topic for this section? What makes a good topic? 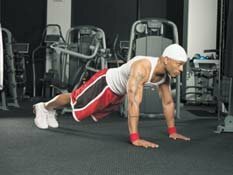 So when I say whole body circuit training, I like to incorporate movements that really stress the largest muscles of the body. 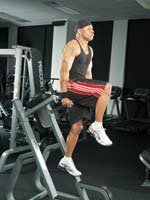 For example, we might do a set of squats (or leg presses), immediately followed by a set of pull-ups, or rows, and alternate back and forth for 3-4 sets. No rest between sets. Then rest 30-60 seconds, hit the chest with some dips, pushups, or bench, followed immediately by jumping lunges done with an overhead press (holding dumbbells). Do this combo for 3-4 sets, and then we might do a boxing circuit where Todd is sparring with me for 1-2 minutes and between those sets, he&apos;s doing bodyweight jump squats. Follow all of this with interval training on a treadmill or outside on a track, depending on our setting, and he&apos;s slammed for the day. When I say interval training, we&apos;ll go 30 seconds of an all out sprint, followed by a 60 second jog, another 30 seconds sprint, etc. We did this routine this morning --- 10 sets of sprints, 10 jogs. [ LL ] There will be times I tell Scooter it&apos;s physically impossible for me to take 1 more step. And I can push it and do-but this man helps motivate me and really pushes hard. I&apos;ve done the training; I&apos;ve gone through the motions and done the endless sets of curls, leg extensions, etc on my own. That doesn&apos;t work like whole body, circuit training. I feel like one of those cartoons where my heart is pumping out of my chest, my muscles are burning, and I can&apos;t take another step. It&apos;s crazy hard and I&apos;m the best shape of my life for a reason. The book goes through our workouts. And it may sound like it&apos;s only for the advanced trainee. But we have the Bronze, Silver, Gold, Platinum, and Diamond Workouts so it&apos;s for anyone. 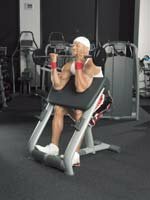 The Bronze Workout starts you off a bit more slowly, getting the body moving and gearing you up for the next stage, which is Silver. Then that will ultimately progress to Gold and Platinum. Diamond is the section written specifically towards women. We did that so the book can be followed by men, women, couch potatoes, and anyone who wants to be the best they can be one step at a time. Remember, it takes dedication to get to the top-I have fought tooth and nail for every single thing I have. Success doesn&apos;t come easily and I wanted to give people the tools to also be successful. I am always reading and learning from other successful people on how to be the best I can be. For Every Single Thing I Have." 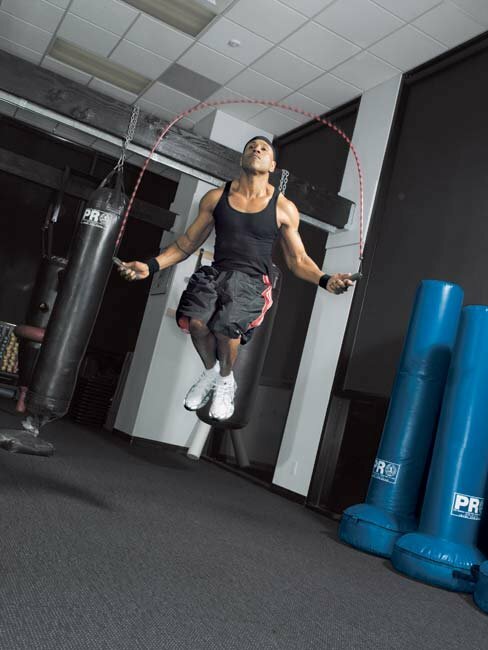 The Platinum Workout is written with you in mind. Once you think you&apos;ve reached perfection, you&apos;ll quickly descend. Never settle for mediocrity. [ Chris ] Alright, thanks for the info guys. I&apos;m ready to go train! Without further ado, let&apos;s talk nutrition. [ Chris ] You definitely work out hard LL, which we learned in part 1 of this article. Most of us know that you build muscle when resting, not during the workout itself, and that&apos;s why nutrition is important. I created the nutrition plan after talking with both of you and based on Todd&apos;s (LL&apos;s) lifestyle. Scooter, why don&apos;t you talk about why you think nutrition is important. [ Scooter ] We all know nutrition is over half the battle of getting in shape-I can give anyone the absolute best workout in the world on a daily basis, but if they&apos;re putting mud in their gas tank, it ain&apos;t gonna&apos; cut it. In the book you provided these awesome charts to show people the best food choices to help them reach their goals-you cover carbs, protein, fats, fruits, and vegetables. The way you have the columns labeled "Select Most Often", "Select Moderately", and "Select Least Often" is fantastic -- I can&apos;t think of an easier way to tell folks what&apos;s good and what should be left on the store shelves. This makes it so simple for anyone trying to make smart nutrition choices and that&apos;s what folks need. People get all caught up in the details, but sometimes they really just need the basics. So you can see in those charts the best carbs are loaded in fiber, the protein choices are loaded with amino acids for growth and recovery, and the fat choices are great sources of omega-3&apos;s and other healthy fats, yet lower in saturated fat. The crappy foods are in the "Select least often" category. Eating those types of foods regularly won&apos;t take you anywhere near a platinum body. Then you take it one step further with specific meal plans for each section of the book, recipes throughout, and loads of nutrition tips to help readers succeed. [ Chris ] And I think that&apos;s important to have. Making fantastic choices 90% of the time is the key. Go ahead and allow yourself some flexibility the other 10% of the meals. Notice, I didn&apos;t say days, but meals. An entire day of "cheating" is unnecessary, but enjoying everything in moderation is the key to a balanced diet. [ LL ] Absolutely, and if I didn&apos;t enjoy some treats in moderation, I wouldn&apos;t be a happy camper. You just have to know how to control what you eat and make those smart choices most of the time. I absolutely enjoy desserts and other foods like that, some of the time. I am not saying I sit down with 2 gallons of ice cream each night. I enjoy things in moderation, which both of you have really taught me well. [ Scooter ] So with recovery we know we first need to eat enough calories. When you are working as hard as we do, you need to eat for recovery. And that means plenty of protein, carbohydrates for energy during the next workout, and healthy fats. Fruits and vegetables make up the majority of LL&apos;s carb choices as we really limit the refined junk, like sweets, white rice, sugary cereals, etc. LL loves fish for the flavor but also the powerful nutrients, and is sure to eat some healthy fat with each meal. And of course veggies and fruit are a must-as he said, it&apos;s not just about appearance, but health too. Every single meal has some color. [ Chris ] And I noticed that change, to add veggies and fruits where you can, has become your lifestyle. Don&apos;t think I wasn&apos;t watching what you put in your body over there during lunch-nice move asking to replace the fries with steamed vegetables, as a side with your fish. [ LL ] (laughing). Great, always nice eating with a Doctor! It wasn&apos;t always like this. Before I met Scooter I was eating whatever I could get my hands on. I would be on tour, stopping at fast food joints, eating chips on the bus, whatever. It&apos;s not the type of lifestyle that will give you results, though. Now, as Scooter said, I make sure each meal has some protein, mainly through whole foods for the nutrients, vegetables and fruit, for my carbs, and fat---fish oil, flax oil, nuts, etc. They definitely help me get the calories I need and you and Scooter have definitely taught me how healthy they are for me. [ Scooter ] It&apos;s easy to fill your body with crap. But it takes dedication to put smart foods into your body and feed it what it needs. LL has that dedication and the desire. I like to use the simple calculation of your body weight * 10 to lose weight, your body weight * 12.5 to maintain weight, and your body weight * 15 to gain weight. Of course that&apos;s just an approximate, then we tweak as needed after that. [ LL ] I have never felt as good as I do now since changing my nutrition. Scooter Pie is insane, but in a good way. It&apos;s all good and it&apos;s helped make me the best physically. He&apos;ll be cooking for us on the bus, telling waiters how to prepare our food... that&apos;s what it takes. Dedication at every turn. But I&apos;m not saying you need a trainer, chef or anyone else to get results. The book lays the ground work for smart training and nutrition. Scooter has helped me get in the shape of my life, but he doesn&apos;t force me to train or eat well. That&apos;s up to me and it&apos;s up to you. Either you want it, or you don&apos;t.
You can lead a horse to water, but you can&apos;t make it drink. If you want results, you need to work to get results. Every day I wake up and write my goals for the day. I work toward them every single day. I don&apos;t half @ss it, hoping to just get by. "Either You Want It, Or You Don&apos;t."
Every day you work towards a goal, or move away from it. I wake up every single morning ready to conquer the world. Once I reach the top of the mountain, I keep pushing to get to the sky. When I get there, I&apos;m going for the starts. The quest for success should never end. The second you think you&apos;ve reached the top, is the second your success comes to a screeching halt. Take nothing for granted, as it could all end tomorrow. Some people who are doubters will say that I have more at risk. I get a lot of slack about needing to stay in shape as a celebrity to "sell" albums and movies. 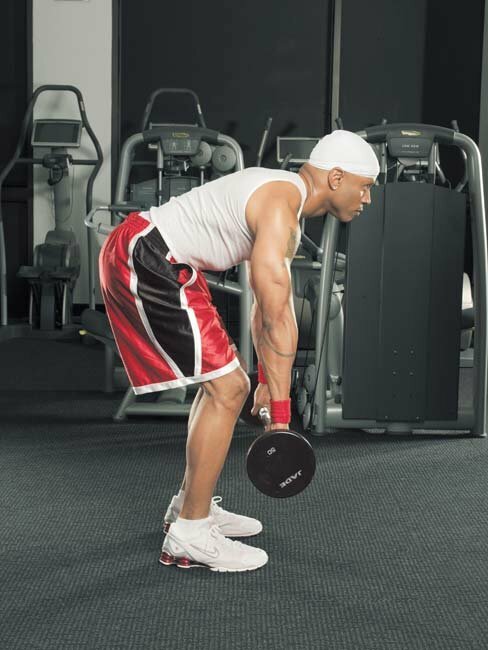 While that may be part of my industry, the platinum workout is for everyone. Everyone can benefit from striving to be the best they can be, and staying dedicated to creating, doing and accomplishing more. "The Platinum Workout Is For Everyone." Take control of your body. Eat to feed the machine. And live a longer, healthier life. [ Scooter ] This book gives you what it takes to reach the top. LL has done it and so have thousands of others. Don&apos;t waste anymore time. There&apos;s no need to reinvent the wheel; take our experiences and create your own Platinum Body. [ Chris ] I couldn&apos;t have ended this piece better myself. Thanks again, guys, for allowing me to be part of this project. Chris Mohr, LL Cool J & "Scooter" Honig. Click Here To Get The Book Now!